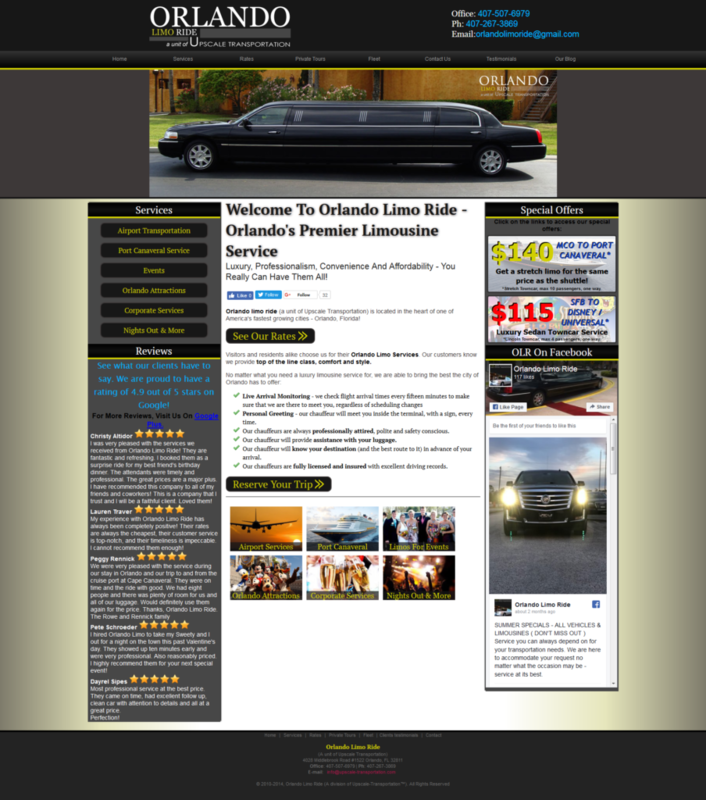 Orlando Limo is a limo service in Florida. It was our success with THIS site that led Sunset Luxury Limousines to become a client. The limo business is incredibly competitive. Orlando Limo was spending thousands of dollars on Adwords each month, only to find that competitors would spend more. The result? Lots of people spending money on Adwords and no one getting a good return on their investment. Good for Google, not so much for the businesses involved. Our advice? Back off, and go back to basics. Build a clean, simple, easy to use site that will be indexed well. Stop throwing money at the problem and, instead, focus on building a good reputation and a good online customer base in the form of online reviews. 6 Months later, Ahmed’s genuinely excellent service had earned him a 4.9 star rating on Google with over 140 reviews. This allowed him to leap frog everybody and appear at the top of local search results. The resulting increased popularity was enough to bump him to the top of organic results too. Now they do very well in search without breaking the bank every month.